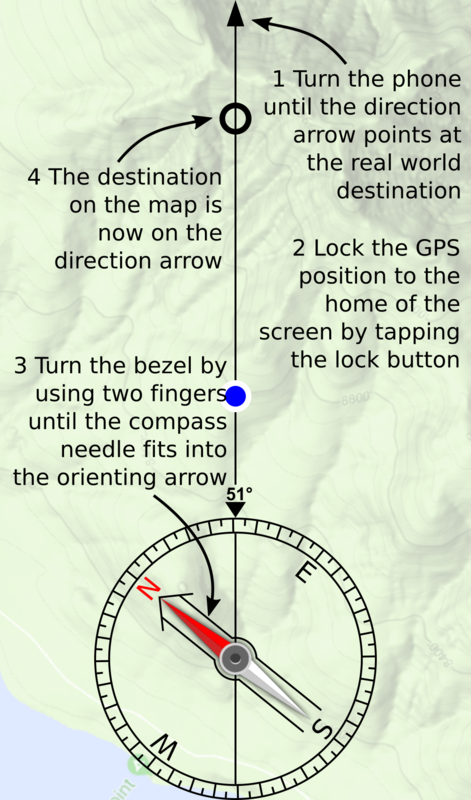 Simpler: Let the map be in the rotation mode and lock the GPS position to a home position of the screen. 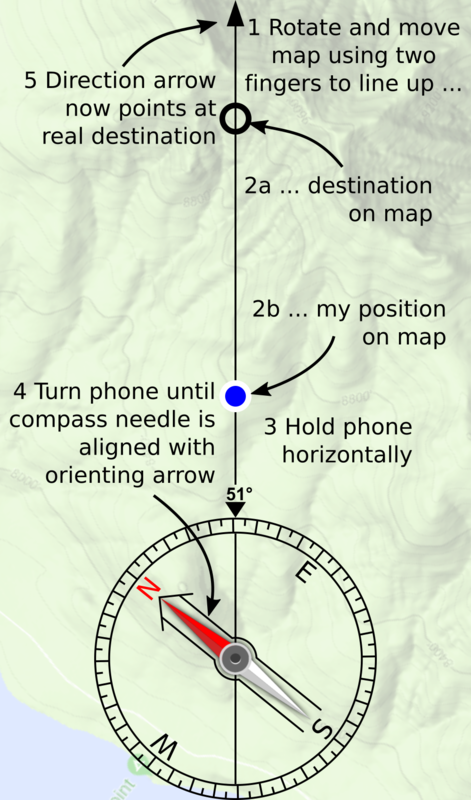 Turn the phone until the destination on the map is on the direction arrow line. The direction arrow then points to the destination in the real world. Simpler: Let the map be in the rotation mode and lock the GPS position to a home position of the screen. Point the phone to the destination. Then the destination on the map is on the direction arrow line. Click the marker button to activate/deactivate the marker mode. When in marker mode, which is indicated by a red frame around the marker button, you can see, create, delete, and manipulate markers. Long click the button to create a new marker. It appears to the left of the button. Move, i.e. drag the marker by first long clicking it. Click it to see its title. Click the title to change it. Click the marker again to align it on the direction of travel line together with the "my location" spot (not possible when the map rotates with the compass). To delete a marker, drag it to the marker button and release it there. There is a button to delete all markers in the settings.